Having spent 15 years living in France ourselves, my husband and I founded Clé France to help other British buyers find their dream home. One thing we discovered while living in France was that British buyers were often missing out on some of the best French properties simply because they weren’t listed in the UK. So we decided to do something about it. We set up Clé France to give you as an International buyer exactly the same choice as somebody French walking through the doors of their local high street agent, and at no extra charge. Over the past eight years we have built Clé France into one of the leading French property websites and have assisted hundreds of International buyers in their search to find their very own French property. 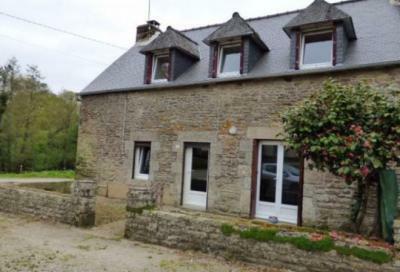 Today we have over 8,000 houses for sale in France ranging from affordable houses, cottages in the countryside, rustic farmhouses, coastal villas, charming townhouses, right up to luxury estates. Buying through Clé France means that you have full access to our extensive network of French estate agents, often independent operators, who you would otherwise never come across. Not only are you getting the best that the French market has to offer, but you also have the benefit of our U.K. based enquiry office. Our bilingual support network combined with our in-depth knowledge of the buying process in France, means that you are in excellent and safe hands. To discuss your search for property in France, or indeed for any further information you may require on French property sales please call our UK office on +44 (0) 1440 820 358. Thanks for reading, Sharon Evans (Founder and Owner of Clé France - The French Property Network). Sharon is the Founder & Owner of Clé France (founded in 2009). She had the idea of starting the business whilst living in France and working as a translator for local notaires and official government bodies such as the Gendarmerie, and also as a sales agent for a local immobilier. Having begun her professional life with an early hi-level career in fashion at Harrods and in high street brand management, Sharon changed her focus in the 1990s to education. She taught Business Studies to adult students, and advised companies on training and staff development. She holds two BA Honours degrees in French and English and a Masters Degree in French/English Translation Studies, using her skills to teach English to secondary school pupils in France, and French to mature students. A skilled bi-lingual communicator who steers the Clé France business from the front. 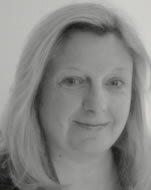 When not working Sharon enjoys reading, creative writing and travelling around France. David looks after the day to day running of the website, the Partnership Team, system administration, vendors who are selling property in France and all the Clé France marketing activities. 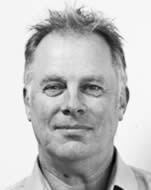 With a background in Architecture & Design, David trained as a Draughtsman in his early career, then moved to a long stint in top level retail management & recruitment in and around central London before leaving the 'Rat Race' and moving to France in 2001. With the aim of changing his lifestyle and spending more time with his family, he went on to combine all his professional skills by setting up as a bi-lingual 'Project Manager' overseeing 150+ renovation projects in and around Brittany, Pays de la Loire, Poitou Charentes and Upper & Lower Normandy. 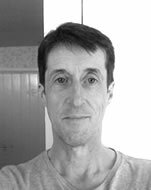 David enjoys helping clients realise their dreams of starting-over in France, just like he did, and when he is not helping to run Clé France he enjoys playing guitar, listening to music and is a keen cyclist and long distance runner. Geoff is your first point of contact for all clients requiring to move funds internationally, a skilled communicator, he can guide you through the options available explaining the benefits of each and has a wealth of experience. He was previously General Manager of a major import-export company, Tulip Foods, where he managed large cross-border transactions in the US, Spain, Italy, Belgium and Germany. 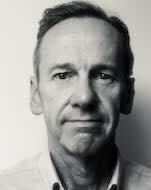 Previously Geoff also developed commercial relationships with some of the UK’s largest retailers including Tesco, Sainsburys and Marks & Spencer. Keiron can help you decide which method of currency transfer suits you best, it could be an on the spot trade or a forward contract amongst other options. Before embarking on a career in finance, Keiron served his country as an Infantry Soldier in the British Army for over 7 years. After leaving the Army he retrained as a stockbroker, spending the next 6 years learning the ins and outs of global finance, including derivatives trading and foreign exchange markets. Keiron is a reliable and efficient person whom our clients trust to get the job done properly. As Head of Registrations, Barry is often the first person a new client speaks to. He prides himself on guiding people to the best currency solution for their needs, helping our clients understand the process. As an active property investor himself, Barry really enjoys speaking to our clients purchasing or selling international property. 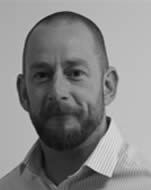 Barry specialises in helping clients through the on-boarding process. 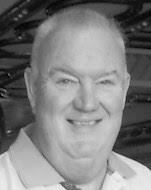 Prior to Key Currency, Barry has worked as a stockbroker, financial advisor and retail manager. With many years experience you can rely on Rob's knowledge of the international mortgage market to find the most suitable solution for your needs. Buying a property overseas can often be a complicated process, facing challenges in a different language, legal system and processes. The honest, reliable and efficient help of our advisor Rob can take a lot of the stress off your shoulders when buying a home abroad. With access to market leading mortgage rates from over 30 different mortgage providers, if you are looking to buy a property abroad as a main residence, second home or investment, we can help. 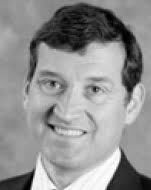 Tim has been a qualified and licensed Independent Mortgage Broker in the UK market for around 20 years. His previous career, in retail management was focused on providing a supportive customer experience. His specialist area is to help people release money from their UK properties, to enable them to realise their dreams of owning a French home, often getting them a better deal on their current mortgage at the same time. Tim became part of the Cle France team after he and his wife bought their “Little Place in France” through the Clé France Property Network. 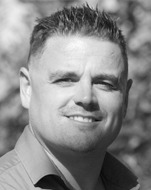 Franck is a general insurance agent and has been an independent financial advisor since 2005. When looking for a quotation from a French insurance company, in English, or just looking for advice / information about the insurance system in France? then Franck and his English speaking insurance team are proud to be of service to you. 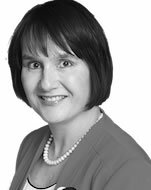 Although English, Ceri has lived in France for most of her life and has been through the French education system so is both a fluent French and English speaker as well as understanding the French Insurance system inside out. 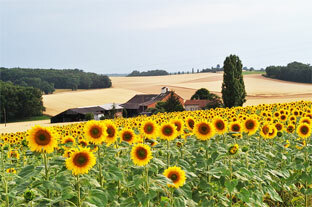 Ceri recently worked on the Home & Car insurance side of the business helping the English speaking population in France. Ceri knows that the French language is not easy to understand sometimes, so to make life easier for you, she translates your quotations into English. Ceri's team of bilingual specialists are always happy to help. Ceri enjoys traveling and exploring and loves to keep contact with English speakers and helping them as much as possible. 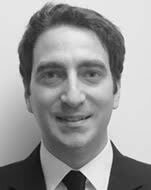 Loic Raboteau is a French national and legal consultant specialised in advising private clients on cross-border legal issues between UK, France and North Africa. A real estate specialist with experience advising on international estate planning and tax issues, Loic provides legal assistance to British clients requiring legal advice in French speaking jurisdictions and a corresponding service to French clients living in the UK who require a French-speaking legal consultant. Loic moved to the UK in 2002, but has maintained a foot in France by remaining engaged with the French community in London. He is a member of the Association of Franco-British Lawyers. Matthew is internationally renowned for his expertise in French law, he advises on Buying and Selling French property, French inheritance matters, Taxation and Wills. Matthew regularly appears on radio and television programmes and is a contributor to Living France, French Property News and France magazine on the legal implications of buying, selling and owning property in France. He has acted for many clients on multi-million Euro property deals. 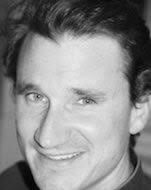 He has lectured in French and English on cross-border legal issues and is a member of the Franco-British Lawyers Society. 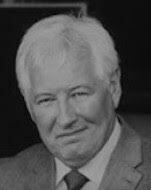 Nick qualified as a Technical Building Consultant & Surveyor in the West of England at the end of the 1960’s. 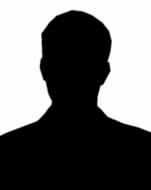 He was employed as a Local Government Building Inspector for some years and then moved into private industry and worked for major house building contractors in Gloucestershire. After buying and renovating his first holiday home in Brittany 20 years ago, Nick moved permanently to France over 15 years ago, where he renovated an old farm ‘from scratch’ carrying out most of the work himself. After the farm was sold he has completed another old cottage renovation project. 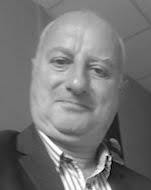 James is a French general insurance agent with his own agency branch so can deal with the day to day insurance needs of his local community but also being part of a large national group he can cover your insurance needs where ever you buy in France. A fluent English speaker, James does attract a lot of British and International clients who find his energy to help get the correct insurance cover set up for his clients and his professional knowledge invaluable. Before starting his Insurance agency James worked as an Immobilier / Estate Agent so he has a wealth of skills to bring to the Cle France team. New Cle France Partner coming soon. Karine is a multilingual translator, teacher and office administrator from France who realised that she could add value for her clients and their businesses by offering ancillary services such as liaising with foreign clients and relocation assistance which were greatly appreciated. During the buying process we will guide you step by step but if you require any further specific translation then Karine is on hand to help. 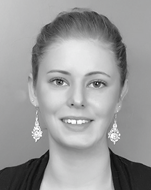 Karine is registered as a French / English Translator & Interpreter with the French Consulate in London. 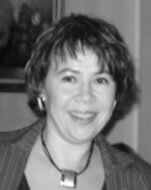 Valerie is based in the Mayenne department and she offers various administrative services and assistance to the English speaking community, from a simple translation to very specialised secretarial, relocation and administrative work. Born from the love of helping people and a passion for the English language, Valerie has helped many clients over the years and by using her knowledge and expertise has many times smoothed their path into the French systems and helped people solve the convoluted paperwork that the French authorities seem to love, our clients find her services invaluable. Simon is responsible for the website and the database of property details and user information, and basically handles all the deeply technical issues which are part & parcel of running a popular and regularly updated site. He enjoys peace and quiet above all else, not that it's easy to find. He has been visiting France at least once a year since being a teenager, mainly for the variety and beauty of the countryside plus of course the food - nothing beats a morning cafe au lait and fresh croissant.